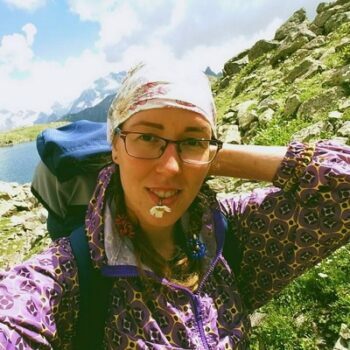 Since you are looking for odor proof bags for backpacking or camping, you are probably aware that when we go out in the great outdoors, we are sharing the nature with numerous animals, and their senses work way better than human senses. This means it is much easier for them to find food sources and sniff our food from a great distance, right? And, you will have to agree with us that it is not rare that a bear or some other animal looks for food in campsites. And, you will definitely agree that this can be pretty dangerous. For this reason, it is always recommended, as a safety precaution to use odor proof bags for backpacking, which would lower the possibility of this from happening. 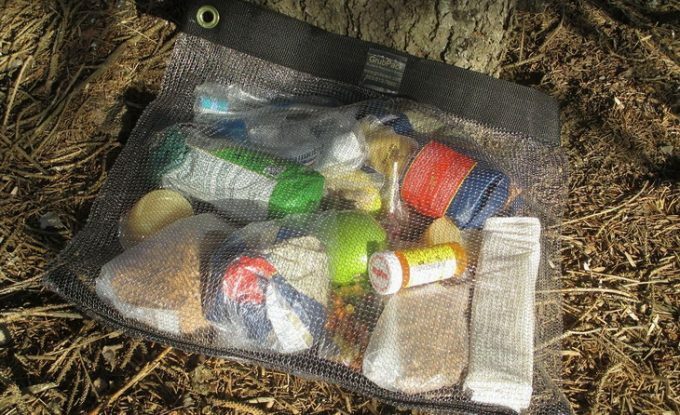 Even though there are no bears in your camping area, it is still recommended that you use these kinds of bags for protection from other animals. It is never pleasant to be woken up in the middle of the night by a small furry friend. 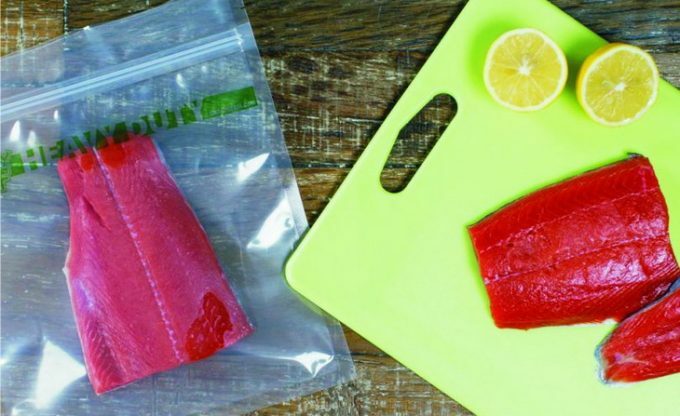 In today’s article, we focus on some of the best odor proof bags in the market, which will always keep your food among other items fresh and safe while you are outdoors. We will analyze the features you need to consider before buying an odor proof bag as well as review specific products to give you a glimpse of what you should expect. If you haven’t used odor proof bags before, this would be the right place to start. In this buying guide, you will find out how to find the perfect odor proof bag which would save you from animal intrusions and keep your food fresh and safe. Of course, using them for food keeping, is not their only use. You could choose to use them for storing your clothes or even for transportation of human waste. However, keep in mind that some of the suggestions below use FDA approved material which means that you are paying for their food safety feature. The material from which an odor bag is made of is very important. They could be made out of plastic materials or other high tenacity polymers. However, some of the materials used are not weather proof. They are not able to stay in the same shape when changing of temperature occurs. For each polymer, this temperature point is different. Once they start changing toxic particles are getting in touch with your food. Over time, the human body is able to flush out these toxins. However, until this happens, the body’s immune system is affected and you are more subjected to bacteria and viruses. Before ordering the odor proof bag of your choice, make sure you calculate the dimensions which you would require. For doing so, the first thing you should know is how much food you are planning on packing. After that you will need to choose a bag of a slightly larger size. This is recommended because if you choose just the right size, the zipper could malfunction and the whole purpose of the bag would be questionable. This is pretty useful if you have several bags in your backpack. With transparent odor proof bags you could tell which content is in which bag without having to open them. This is particularly useful when the bags are not re-sealable since it is the only option of finding out its content. However, there are some bags which are black. The sole purpose being to block out UV light from getting to your food. You should always read the description of the bag before buying to establish whether it’s transparent or not. There are also waterproof bags or at least humid resistant bags. This is very beneficial, especially when you are backpacking in humid weather conditions or snow and icy areas. 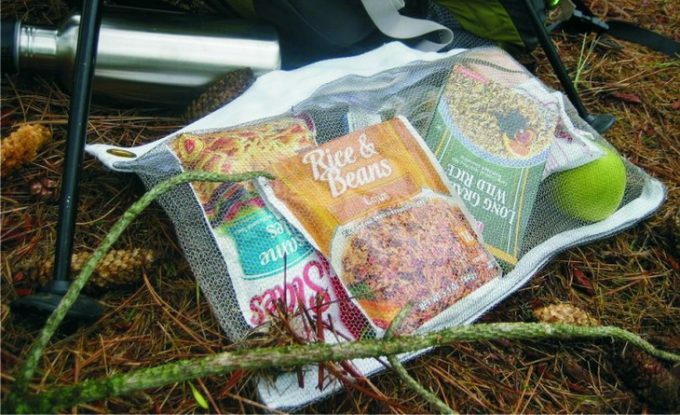 Some waterproof bags could also be used for boiling water inside. These bags have different marks and they are built with different materials. Not every bag is intended for boiling. In fact, with most bags, you would end up drinking plastic. This can be quite harmful to your health. Ensure that the bags you go for, are made of material that is approved by the FDA. The zipper closure is just as important as the material. There is no use in having an excellent quality of bag material if it has a bad zipper because this affects the overall durability of your bag, and your food will keep spilling. Zippers are, in fact, keeping the smell inside the bag and they are providing a water tight protection of the food. There are some zippers which work just fine the first couple of times, but after that, the whole bag is unusable. When you are looking for odor proof bags for backpacking, you will find out that even though this is a simple product, there are many features to consider. For this reason it is best that you read all our product reviews and decide for the ones that fit your needs best. In these product reviews, we are presenting to you their features and it is up to you to choose from the suggestions. Description: We always share the outdoors with the living world around us. This is why the protective case should always be odor proof. The Loksak Opsak Barrier Protective Bags are trapping the food smell inside the bag, so your food, and yourself, will be safe and sound. 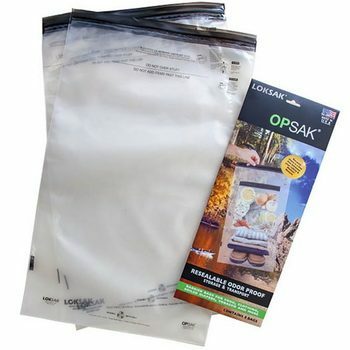 The difference between Opsak protective bags and other bags on the market is that they are odor proof and they have a protective barrier film on the inside of the bag which is also completely odor proof. The inside barrier film is made out of polyethylene material which is completely airtight. This allows the product to be 100% water and air tight, which is the leading feature in protective bag products. 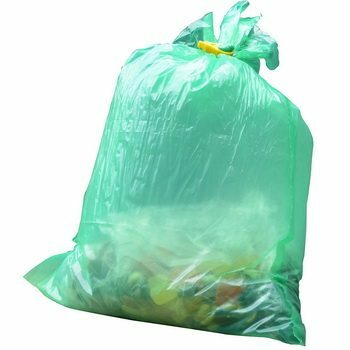 These bags could stand a lot of pressure, which means that you could put water inside and not worry about leakage, and the tensile strength is quite high and it is rated to 3720 psi. Their price comes from their resealable property which means that you would be able to use them on every trip until you damage them. Every product has its disadvantages. In this one, it is the thickness of the bags. With all these features, you are expecting a thick enough material which seems tough and puncture free. Although all the properties seem to be just as described, they are looking a bit fragile. The zip lock system is also not comfortable for using since it is a bit difficult to open it. That said, they are the safe choice for keeping bears and other animals away from you. Related: To wipe off any spills that may be as a result of handling the food in your Loksak Opsak, this Coleman Biowipes will come in handy. Each resealable pack has about 30 wipes, and only costs about $8. The wipes are pre-moistened, fragrance-free and are perfect even for sensitive skin. Description: This Skunk Mr. Slick Smell Proof is truly an outstanding product which helps you combine food and nature while at the same time keeping you safe. Its greatest advantage is the material it is made of. 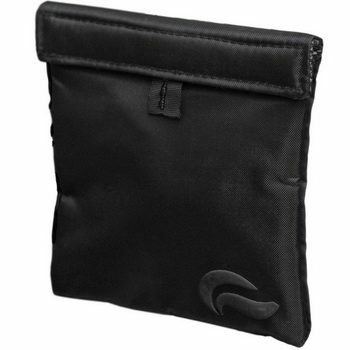 A, scent absorbing carbon fabric, has been used for the manufacturing of these protective bags and a double Velcro closure. The combination of the nylon fabric exterior and the inside material make this protective bag perfect for backpacking trips. The interior is made completely with activated carbon technology which is an air tight technology of the highest quality. Most bags have a high quality once you buy them, but they get damaged with the use and changing of the weather. 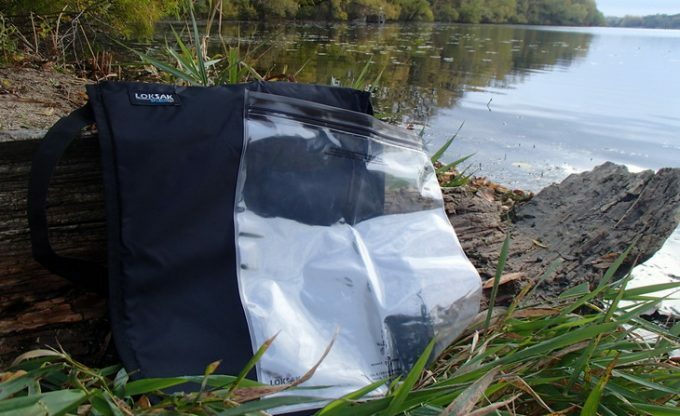 These bags are completely weather proof which means that they are able to withstand changing in temperatures and humidity differences while retaining their quality. They are also supported by an anti-tear protective filter net, which adds to their strength. If you take into consideration the dimension of the protective bag, you will notice that you are not able to carry much weight inside, so the protective filter net is only required on the outside. However, the manufacturer has decided to use it on the whole product, which is a nice addition, if you ever want to carry something heavier inside. This is not recommended, though. The main issue with most protective bags is their opening systems. However, the Skunk Mr Slick protective bag doesn’t have this issue since it uses pull tabs that make the opening very easy. The strength of the material is also a common issue, at least if you are planning on using them for most of your trips. However, Skunk protective bags have solved it by using tear protective materials in the manufacturing process. Related: These Infinity Jars are perfect as you carry your liquids alongside your food in your Mr. Click bag. The jars come in a pack of 3, and will cost you about $49. They have an airtight seal, and are also scent proof. The jars will keep your water fresh for as long as 6 months. Description: This Impresa Products Smell Proof Bags are perfect for storage of your favorite food or even spices and herbs. Even though most protective bags should be air tight and smell proof, there are few which could hold up the smell of a strong smelling herb. However, these protective bags are up to the task. They will keep the herbs inside fresh and intact and you could carry it in your hand, even if you are slightly allergic to it. You won’t feel a thing. The zipping and unzipping is made easy by adding a heavy duty zipper which is quite practical. Although they are not weather resistant, and they cannot withstand very cold temperatures, they fight the UV lights pretty well. They are designed in black color, so that it keeps the UV lights from degrading your food or damaging the content inside. A light proof protective bag is certainly a feature which costs a lot more than the price offered. The material they are made of is pretty thick and it is also tear resistant, which is an extremely useful feature, especially if you are planning on using them throughout the whole season. Their biggest advantage is the price. They are not pricey, yet they have an excellent quality. In other words, for the features they offer, the offered price is a great bargain. The only downside to these Impresa protective bags is their size. Make sure you double check the dimensions before ordering. They are really small, just as described. You could even fit one of them in a pocket. Related: These Pratico Kitchen Bottles will improve your overall hiking experience by allowing you to also carry your water or juice. They are leak proof, and come in packs of 6, inclusive of multi-color loop caps. They are easy to clean and FDA approved, and versatile, allowing you to use the bottles for a different range of activities. Description: These CampSource Odor Barrier Bags are a great product for keeping the animals untempted from the scents of food or other smelly pieces of your gear. Its size makes it perfect for storage of garbage, dirty clothing, food or some other stuff which are fragrant enough to attract uninvited visitors to your camp. The best thing is that they are biodegradable and free of chemicals and additives that could be found in many other products intended for the same use. They are also safe for human use, which means you could put your food inside and they are extremely effective in their biggest advantage – odor proof. Keep in mind that the bag is large enough for putting a large amount of food or other items of your choice. You also get 2 bags with one order. Their biggest advantage is that their durability. 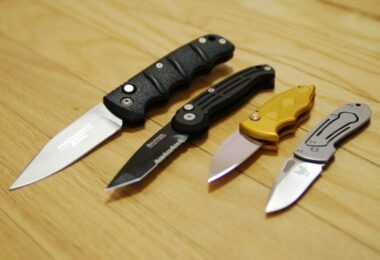 You would be able to use them on upcoming backpacking trips for months to come. And the best thing is that you won’t be able to smell anything from inside the bag even if you try. However, these bags also have their disadvantages. Although the material is thick enough to keep your bag from getting damaged accidentally, it is not completely tear proof. For instance, rats are able to chew through the bag into your belongings and ruin your backpacking or camping trip. Hanging the bag would solve this issue, but it is best to be warned about it. Related: At around $26, you can get a Frontiersman Bear Spray to go that gives you additional protection against bears when you are hiking. With a range of up to 30 feet, this bear spray creates a barrier to fully encompass the bear and keep you safe. 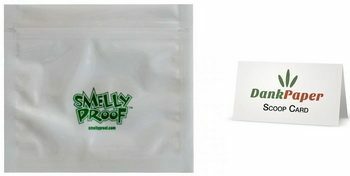 Description: These Smelly Proof Smelly Bags include 10 bags in one package. Their initial purpose is keeping the odors, locked inside the bag, but there are some additional features which might be useful as well. For instance, every proof bag is relatively thin and it is necessary that the material is tear resistant and moisture resistant. This way, the initial purpose and feature of the bag will be protected even though it comes in touch with water or a sharp object. The fact that you are getting 10 bags for the price of one is also appealing. It is especially a good bargain since most producers on the market offer a higher price for only one item, instead of 10. 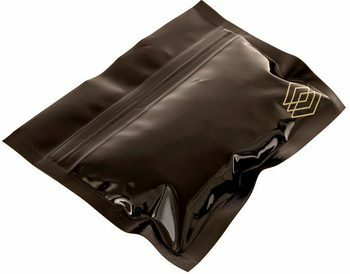 This proof bag pack option is also a great choice if you haven’t used a product like this before. It is cheap, so it would not be too much of a risk to try them out. However, there is a great chance that you become a regular user after trying them, consider yourself warned. Although these bags have some very nice qualities, they also have their downsides. The first time you are using them, they cover almost all the smell of the food inside. However, the more you use them, the less effective this feature becomes. It is probably due to the fact that the zipper is getting harder to lock, therefore the smell is able to escape. You will love that they come in a much bigger size than other similar bags in the market, one to allow you to hold several items all at once. Related: In case you want to be completely on the safe side when it comes to not letting the smell of your food follow you around, you can pack your smelly bags into a bear container. Our recommendation would be the Tightpack Tightvac Portable Storage Container. 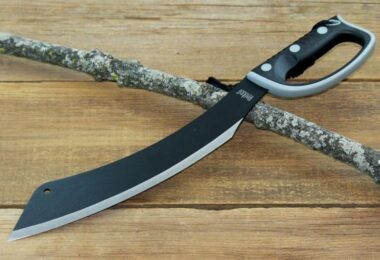 This combo will definitely keep the bears unaware that you are carrying food. 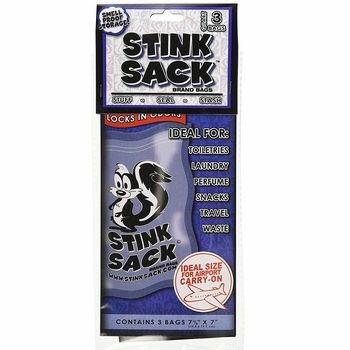 Description: Even if you haven’t considered using odor proof bags for backpacking before, this 3pc Stink Sack Smell Proof Bags is a nice addition to your backpacking gear. However, make sure you double check their dimensions since they are very small. Even when they are filled with food, you could wear them in your pocket without a problem. They are keeping the odors inside the bag and your food fresh. They are also puncture resistant and humidity proof. They are also washable and reusable. The best quality these odor proof bags have is that after using them for a first time, their quality remains the same regardless of their usage frequency. Even though they are advertised as waterproof, I would not recommend you submerging them under water. However, if the bag happens to fall in the water, just make sure you get it out as fast as you can. Your food will be dry as long as you manage to do so in less than a few minutes. As far as the odor proof properties go, these bags are locking, most of the smell inside. However, if you put something really smelly inside, such as cheese, you can sense the smell when the bag is in front of your nose. 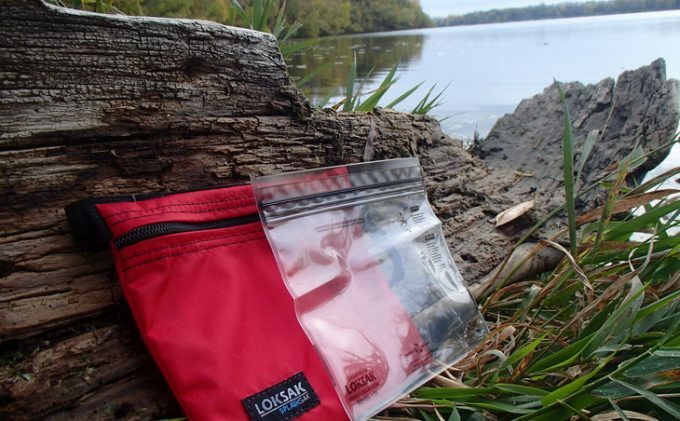 Related: The Funtalker Dry Sack will give your items added protection as you are out hiking. This bag also locks in any odors that may come out of your stink sack so you don’t have to worry about that during your expeditions. It’s a much fun way to carry your smell proof bags as opposed to regular backpacks which are not as lightweight or waterproof. 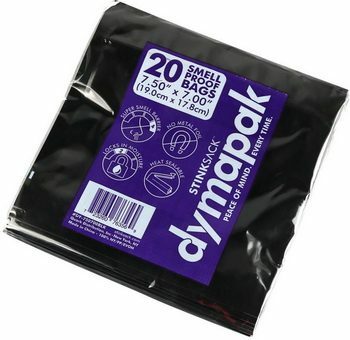 Description: These Stink Sack Dymapak Smell Proof are very large and they have a 1 gallon capacity. 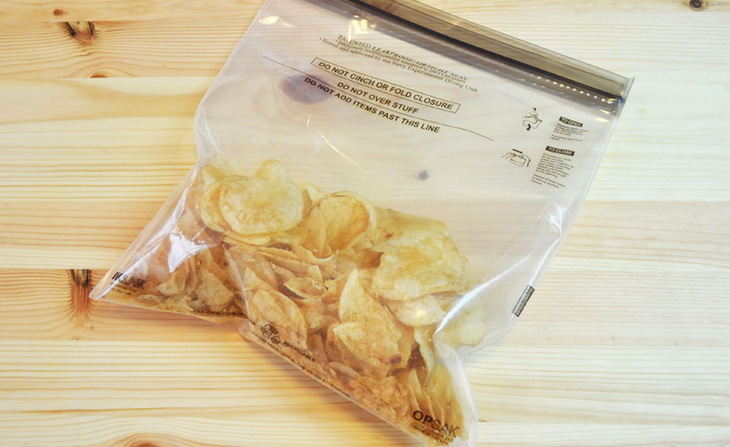 This means that you could probably fit all of your food in just one bag and still be left with space inside. Their odor proof properties are remarkable and they are proven to completely lock all of the odors. They are even trapping the more intense smells such as fish smell. Now you are able to have a nice barbecue in the wilderness; of course if it is allowed. They are also, tear and puncture resistant, which is a feature often found in odor proof bags. However, it is not often that the thickness of the material is so resistant that you could try to tear it apart with your hands and fail. They are also waterproof and washable. They are also reusable which is quite handy. Even in nature, if you manage to find water, after you have consumed the content from the bag, you could wash it out and use it again for dirty clothes or as garbage. The only disadvantage is the zipper closure. However, it is not badly designed but you should make sure it is fully closed before putting it in your backpack. Otherwise, you would be wondering why you could sense the smell from the inside of the bag. Related: You can purchase this Bamboo Air Odor Eliminator for just about $10, alongside your odor proof bags to ensure that any extra moisture in your bags is completely removed. Only 100% natural bamboo charcoal is used, which is non-toxic and will serve you for up to 2 years. If you are going camping or backpacking an odor proof bag is an unnecessary addition to your backpacking equipment. There is nothing like a bear proof bag which would help you sleep peacefully at night. Regardless of the choice you make, they are all designed to protect you from animals and make sure you have a safe and enjoyable trip in the nature. 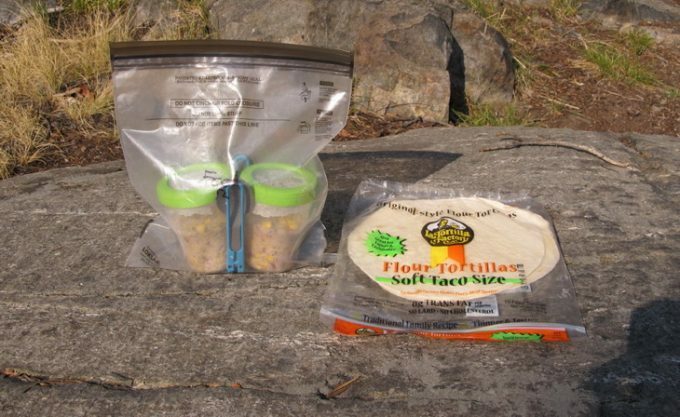 Now you can finally choose to take your favorite food with you on your backpacking trip, even if it’s the smelliest cheese or spice. All the suggestions above contain all information there is to know about the products. The only thing left to do is to plan your trip and choose your odor proof bags for backpacking. Have you ever used odor proof bags before? Share your thoughts and experiences with us by writing us a comment in the comment section below!